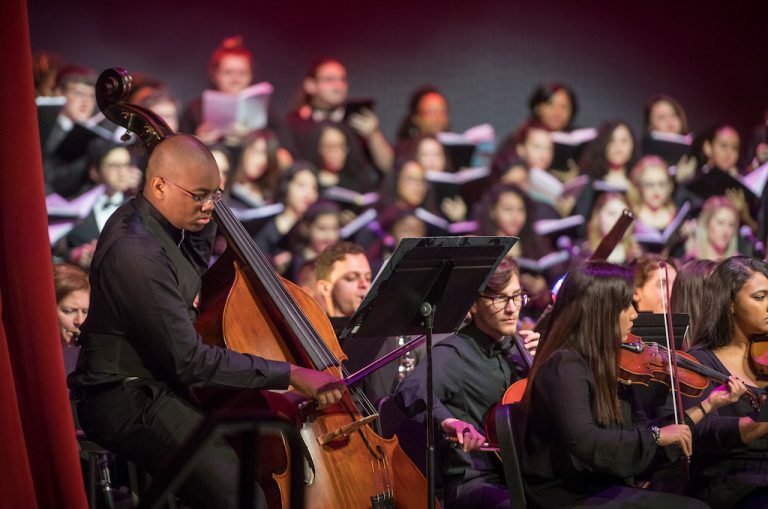 On Tuesday, Feb. 26, Valencia College’s Symphonic and Jazz Bands will perform a musical medley to celebrate Jewish heritage and to remember the tragic events of the Holocaust, the genocide of an estimated 6 million European Jews in the early 1940s. Featured musical selections will include “Fiddler on the Roof,” “Scenes from Terezin,” and other celebrated standards from Jewish culture and diaspora. Join Valencia College and community partners at 7:30 p.m. for this special evening of remembrance in the Performing Arts Center on East Campus, located at 701 N. Econlockhatchee Trail. An annual event, the Spring Symphonic and Jazz Band concert is free and open to the public. WHEN: Feb. 26, 7:30 p.m.
WHERE: Valencia College East Campus Performing Arts Center. TICKETS: Free and open to the public. More information at the Valencia College events calendar.